There's no point in fighting: electric and autonomous cars will dominate the world - and in less time than you realize. So, we'd better get used to the future, even if we enthusiasts are afraid of these cars that are (almost) capable of dismissing the driver. 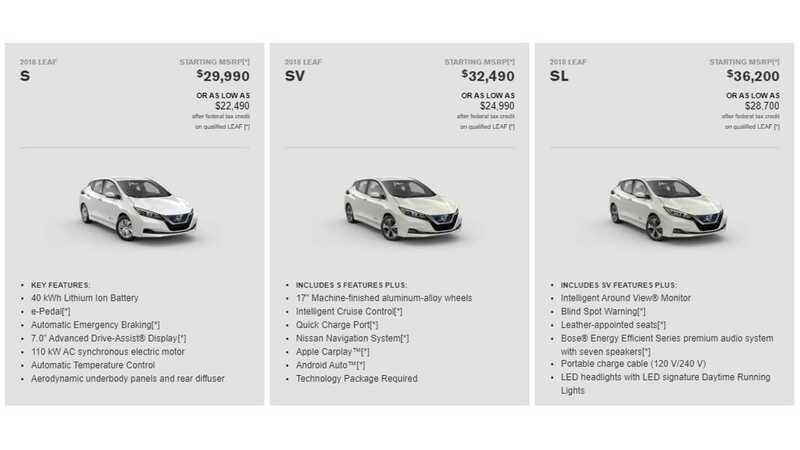 The second generation of the Nissan Leaf, the world's best selling electric car, arrives with even greater autonomy, more power, better looks and with a lot of new technology, including semi-autonomous driving. 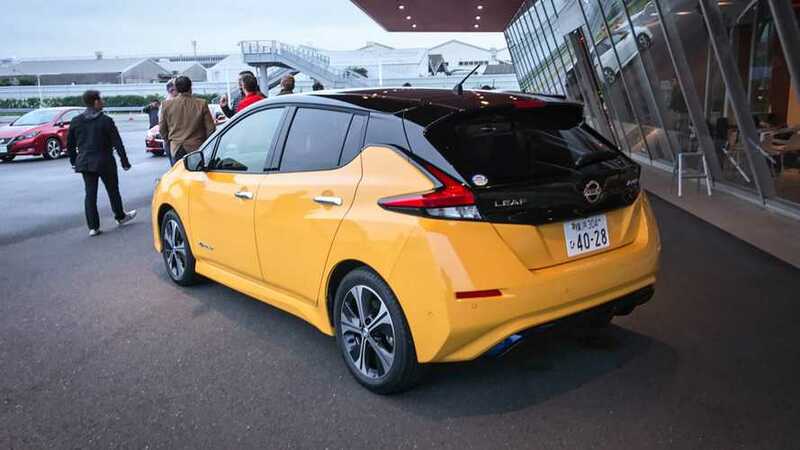 *Editor's note: Our foreign correspondent, Daniel Messeder, went to Nissan's proving ground in Oppama, Japan, to drive the new Nissan LEAF. Here's his review. The Leaf debuted in 2009 as Nissan's bet on the then-almost-unexplored market for electric cars. Despite having an exotic design and autonomy of only 73 miles/117 km (EPA), the model has captured no less than 280,000 customers since first deliveries started in December of 2010. Over the next 7 model years some slight tweaks were added, and the range was bumped to 84 miles/134 km in 2014, and again to 107 miles/172 km with a larger 30 kWh battery for 2016. 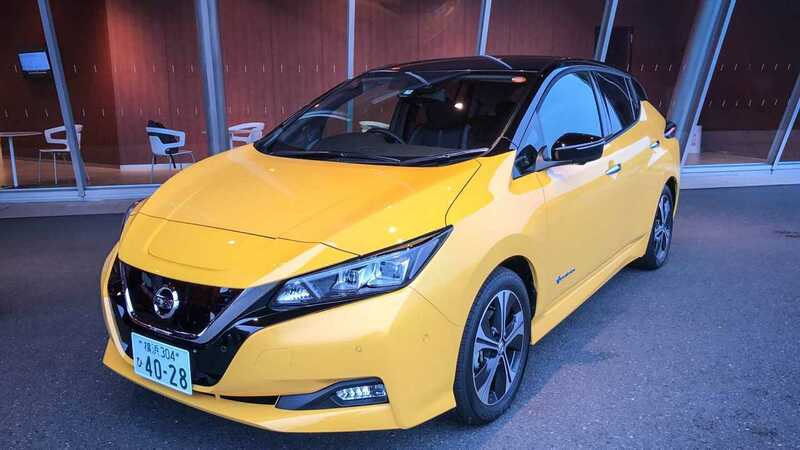 Now, the new 2018 LEAF bets on a more conventional style and had autonomy extended to 150 miles/241 km (EPA estimated - 400km/249 mile on the unrealistic JC08 standard in Japan) thanks to a larger 40 kWh battery, although it still occupies the same space of the previous ones. Editor's Note: If 150 miles/241 km of real world driving isn't enough for you, well...just wait longer. Although Nissan was remiss at the 2018 LEAF's debut to say anything, other than quickly state that a longer range version is coming next Fall; the 2019 LEAF will have a approximately 60 kWh battery, good for ~225 miles/362 km of range - along with even greater performance. An L2 recharge takes 8 hours (6 kW/220 V) or 16 hours (at 3 kW), with a fast recharge option (80%) in 40 minutes. The Leaf platform is unique, but according to Nissan, it can generate a whole "family" of offspring in the future. The design issue is no longer "shocking" as it has to do with the fact that now the electric car now longer needs to draw attention, explains Nissan engineer Hiroyuki Furuya. "At first we had to show the market that it was a car different from the others, now we did something more of the general taste." In fact, the new Leaf looks like a traditional mid-hatch: modern, yes, but with lines common to other recent Nissan cars. We liked the "C" column painted bright black, matching with the ceiling and the cover trunk. The front has traces that resemble the new generation of the European Micra. But as important as form, in the case of Leaf, is function. And in this the new generation stands out with aerodynamic coefficient (Cx) of a low 0.28. As with the first LEAFs, the new 40 kWh batteries are accommodated so discreetly that there is virtually no intrusion into the passenger cabin - except for the slightly raised floor. The Leaf is generous for four adult occupants plus one child. With the driver's seat adjusted to my six-foot-seven frame , I was still very comfortable in the backseat, both in the head area and the legs. Also, the trunk is very good for a hatch, with 435 liters and ample access. The Leaf displays good fit and finish in the cabin, but is low on luxuries. Door panel and dash are hard plastic, while the steering wheel is exactly the same as we found in the Kicks small crossover. The difference, for the worse, is that the Leaf's steering only adjusts in height - and plunges when releasing the adjustment latch. I called Engineer Furuya to question this and he, visibly embarrassed, apologized to me. "We know this problem, we recognize." Other items reminiscent of the Kicks are the instrument cluster, with a 7" TFT screen next to the analog speedometer, and the multimedia with 7" screen and Apple CarPlay connection, plus the 360 ​​degree camera system that helps when park. While on the Leaf, parking is a task it cares for practically alone. Pro Pilot Park is the name of the new Nissan automatic parking system. Regarding the various "park assist" that we know, the advantage of this is that it does not need other cars or tracks on the ground to make the reading of the parking space. In addition, Leaf knows how to stop in parallel and perpendicular waves, reading more than one position for you to choose. Then just click on the parking space you want in the multimedia and keep pressing the automatic parking button that it will be in charge of placing the car in the space you want. This is only possible thanks to the 12 ultrasonic sensors installed around the car, and also to the 4 high resolution cameras. They are also sending information to the semi-autonomous driving system Pro Pilot. So let's drive and see how the whole thing works. Before I took command, Pro Pilot took me for a ride. We entered the Nissan track behind an Infinity and all I did was keep my hands (light) on the steering wheel. The Leaf kept the stipulated distance from the front car and was riding at the same speed, even stopping alone, and then resumed acceleration (just a light touch on the accelerator). The system runs between 18 and 62 mph and, unlike other semi-autonomous ones I've ridden, it actually turns the wheel to make the turn (not just pulling the steering into light curves). It just takes your hand to be on the steering wheel - due to legislation, because theoretically it would not need it. Then it was my turn to guide - and with point the Leaf brings news too. There is the e-Pedal, a button-activated function on the console that causes the car to decelerate by up to 0.2 g when we release the throttle until it stops completely (including up and down). It is somewhat similar to that found in the BMW i3, but with greater emphasis on "braking", in addition to being able to be turned off. 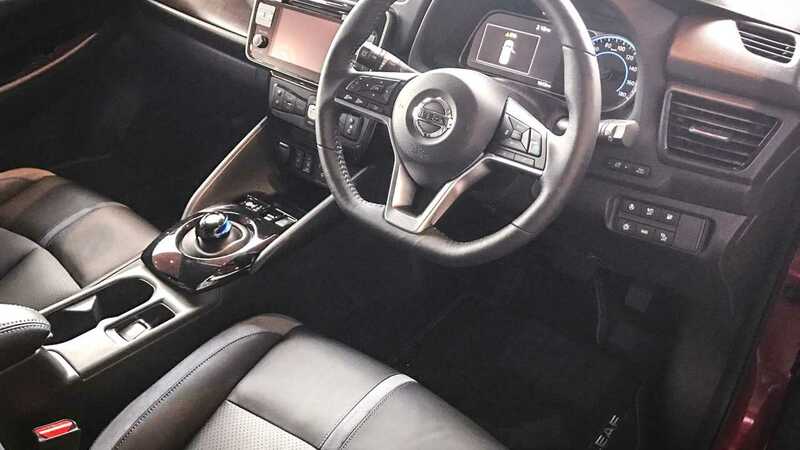 The idea of ​​Nissan is that you do not have to keep alternating between the accelerator and the brake in traffic, making driving more relaxed. According to the brand, you can drive 90% of the time without stepping on the brake. In fact, I took two full laps on the track without using the second pedal, which is there for emergency braking. Impressive how quickly I got used to the convenience provided by the system. 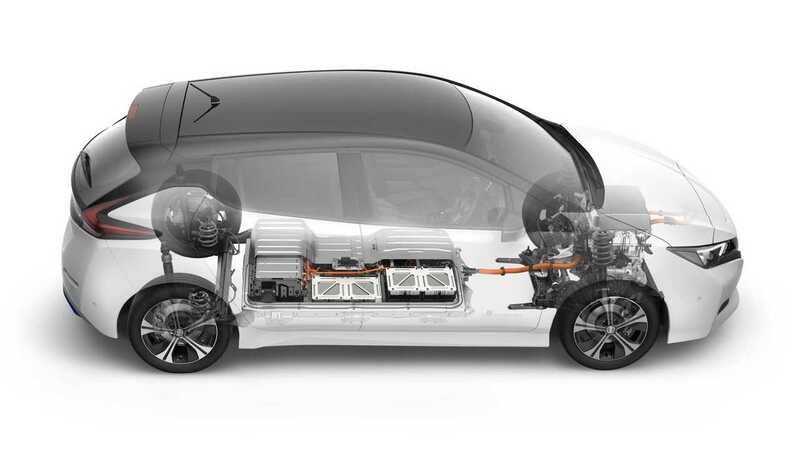 Another attraction of the new Leaf is in the electric motor itself, which was stronger than the previous one. 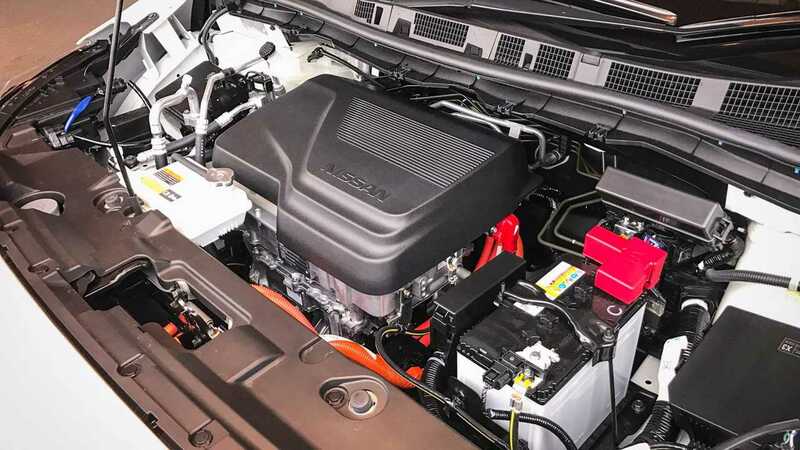 With 150 hp of power and 320 Nm of torque, the car responses are quite agile, albeit smooth. It accelerates with decision, using the fact that electric motors deliver 100% of its torque at all times.  So, in silence, Leaf makes the speedometer pointer rise as if it had a good gasoline turbocharged engine, giving the driver a smile. From 50 to 75 mph on the track it was only a few seconds, showing that overtaking will be easy in "real life". Also: Nissan notes it takes 30% less time now to get to 60 mph (at around 8 seconds), but most of those gains are net (thankfully) on the top end. In spite of the good performance, the priority of this Nissan is comfort. The suspension is soft and quiet, and still offers a nice car feel well posted on the road. Even on the smooth track of the Japanese test track, it was possible to notice the smooth running of the Leaf, including passing through the asphalt grooves. In speed, we hear only a little wind and the tires on the track, no trouble in the cabin. In a quick slalom we noticed that the Leaf tends to go out in closed corners, with significant body roll, but nothing that compromises the good ride and handling of the model. If you looking for an electric car, the answer is definitely yes. The new Leaf is no doubt an impressive evolution of the first one: stylish, more comfortable, better to drive and more than twice the autonomy. The semi-autonomous system works well and the e-Pedal is perfect for urban traffic. 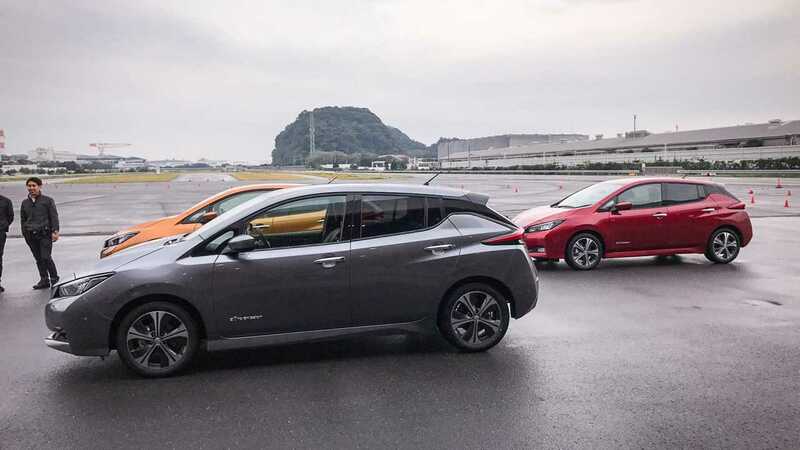 In Japan, the new generation of the electric hatch went on sale on October 2 and has already accumulated more than 19,000 orders. It costs 3,990,600 yen, or equivalent to US$ 35,000. US sales start in early 2018 at a base price of $29,990. You can reserve yours now here.